The first time I went to La Sirena, I had a reservation for dinner with my friend Renee, who moved to NY from Austin a few years ago. To make a long story short, the City chewed me up and spit me out that day as I tried to get from Central Park to Chelsea in time for the reservation and it turned into Trains, Planes & Automobiles somehow. I was an hour late for the rez but luckily Renee is good at sweet talking and begged them to hold our table. So on that summer night, I ran in flustered, sweating and wishing I’d worn running shoes instead of heels. When I made it up the stairs and saw the unexpected, gorgeous terrace with Renee reading her book while waiting on me with a fresh cocktail, I instantly fell in love with the place. I have been three times since then with different groups and I’ve stayed charmed, so I think it’s a keeper. La Sirena is the very best on a summer night when the weather is perfect. It’s in Chelsea on 9th Avenue and 14th Street. The terrace is raised just above the hustle and bustle of the NYC streets, so you feel removed but still part of the action. The entire restaurant has a striking black and white mosaic tile floor and gorgeous stone with great lighting. The food has been consistently delicious every time, and the cocktails follow suit. 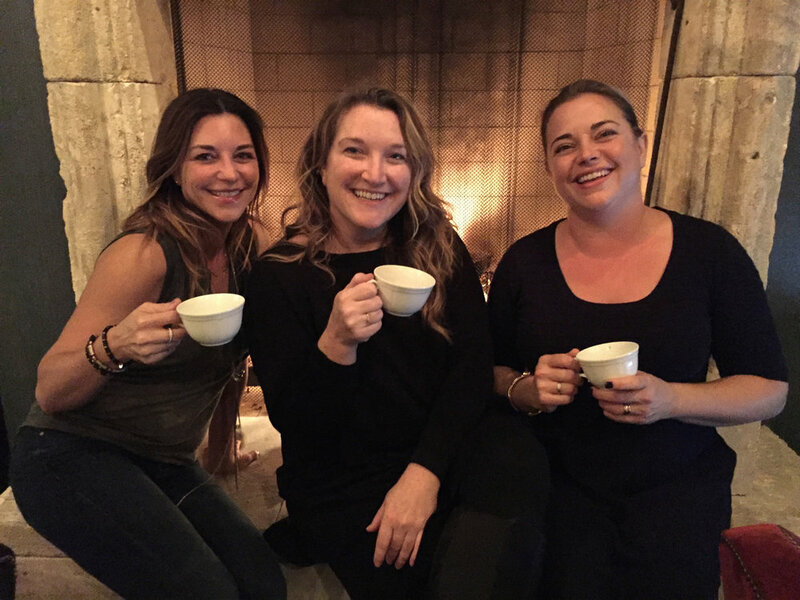 The restaurant is connected to the Maritime Hotel, which has a cozy fireplace with lounge areas in its lobby. I like to have dessert or just more wine there to wrap up the night. NYC’s super competitive culinary world always has a new star, and I like to try those as well. But when I find a place that has a solid atmosphere where I know my group will have good service, consistent food and an interior that “feels good,” I’ll keep going back. La Sirena's private event space, called The Cabanas, are comprised of two separate and distinct spaces: The North Cabana and The South Cabana. Both are over 3,000 square feet and have private entrances, allowing guests to enter directly from street level. I stopped by New Haven, CT last summer without expectations. I had a few days between dropping my son off and picking him up at camp, so I’d decided to spend it there, visiting my sister Jessica. 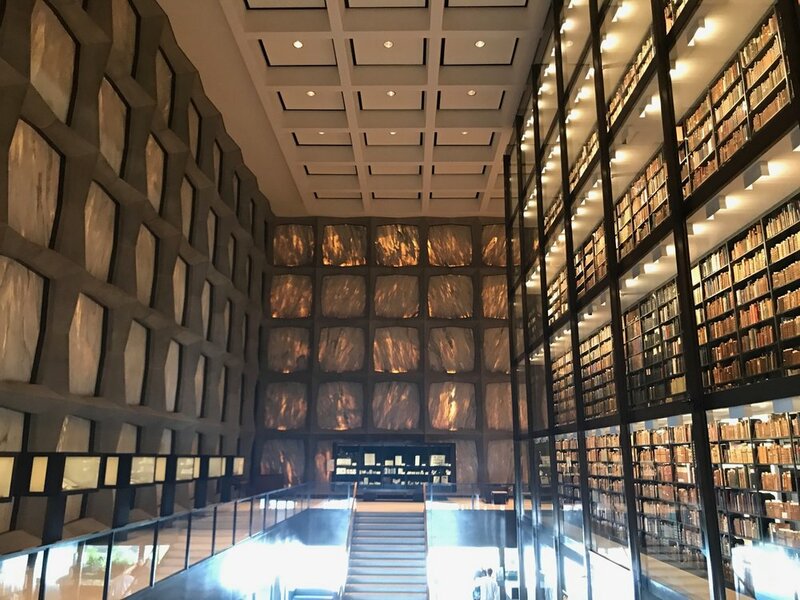 She took me to the Beinecke Rare Book & Manuscript Library, and I’ll never forget it. If you have any interest in architecture, it is something to see. On the outside, it looks like a stark cube of marble and stone. When you get inside you start to realize that those white and gray veined marble slabs you see from the outside are the “windows.” These marble panels are one and one-quarter inch thick and filter light so that the giant column of rare books and manuscripts can be displayed without damage. It gives the interior a feeling that’s difficult to describe. The marble is literally glowing but in varying degrees around the square space. If you find yourself in that neck of the woods, it’s worth stopping by. I would also highly recommend having a grilled cheese around the corner at Caseus. I’m not usually a fool for grilled cheese but this one will stay on your mind. Trust me. Follow us on Instagram for event inspiration + carefully curated private event spaces: @cravenandco.